This letter is a response by Haverford’s President Kim Benston to concerns raised in an opinion piece arguing against ending need-blind admissions. The original article, “Why We Need Need-Blind” can be found here. In the aftermath of a joyous Commencement day, the campus turns in anticipation toward Alumni Weekend and then another busy summer of scholarly collaboration between faculty and students. In this relatively quiet moment, I’d like to share some reflections on the College’s financial picture, a matter that has been under active discussion for the last several months. 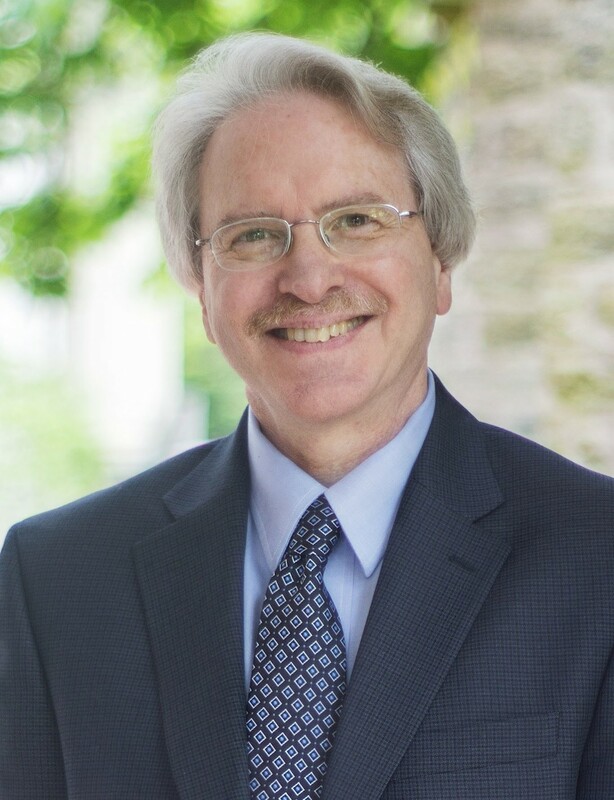 As members of the campus community are well aware, a number of open meetings have been held with students, faculty, and staff about how Haverford can respond to economic pressures felt throughout higher education, our goal being to ensure in perpetuity the College’s identity as an excellent and diverse institution. In its May meeting, the Board began deliberations on this financial picture by articulating the principles that will guide its assessment of various hypothetical budgetary scenarios. These principles, which will shape the Board’s discussion in the coming weeks, have been issued to the community, and I will quote them later in this reflection. 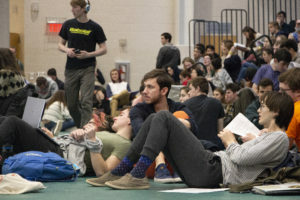 Discussions at the open meetings and elsewhere have elicited vigorous questions and challenges, most pointedly concerning any scenario in which the College’s current financial aid policy might be altered. Members of the senior administrative team—particularly Vice President for Finance Mitch Wein, Dean of Admission and Financial Aid Jess Lord, and I—have tried to give every question the fullest possible answer so that each member of the community could feel well-informed when offering opinions to the Board. But inevitably, even a transparent, community-wide process of exhaustively detailed dialogue tends to leave pockets of uncertainty in some constituencies. I write now with the express intent of bringing such folks, including those who were unable to attend any of the aforementioned open meetings, more fully into the orbit of the discussions held thus far. In particular, I want to address concerns regarding financial aid; to do so, I will engage directly in dialogue with a couple of writers who offer the kind of challenges that were voiced in the open meetings. The first of these writers is Hannah Krohn ’17, whose commentary, Why We Need Need-Blind, appears in the May 2nd issue of The Clerk. Ms. Krohn argues eloquently for prioritizing a “moral principle” over “potential cost to the school.” I hear her recommending, in very moving terms, that we view the financial health of the College as distinctly less important than the College’s accessibility to all. I agree with Ms. Krohn that our principles need to be strongly affirmed and concretely underwritten in our approach to financial planning. But if we conceive of “principle” as being at odds with fiscal management, we are setting ourselves up to hurt the institution and the potential beneficiaries of its educational model. That is to say, for the College to take a seemingly “pure” stance unsullied by financial considerations is to set us adrift, ironically, toward possible difficulties. In fact, I want to endorse and expand on Ms. Krohn’s astute point that “Our budget is the tangible representation of our priorities.” It strikes me that this insight may be subtly––and productively––at odds with the assumption that “cost to the school” is of secondary importance. That is to say, when we look upon the budget as a representation of our priorities, we can see it as an instrument by which to enact our principles under complex circumstances. Through the budget we can strive toward a principled balancing of worthy concerns, including costs to the College that may not be self-evident. In essence, I’m asking that we conceive of budgeting as both a philosophical and a pragmatic exercise. I grant that this dual conception may not feel intuitive. The very notion of a budget might initially strike us as irrelevant or even antithetical to ethical deliberation; after all, in a purely abstract realm where money is no object, a budget feels like the crass intrusion of grasping, materialist reality. Likewise, from a purely material perspective, the loftiness of abstract principles may seem like a distracting fantasy. But blending these two perspectives allows us to conduct a dual existence as idealistic thinkers within the constraints of the material world. We often feel that our institution was designed precisely as an ethical refuge from the outside economy, but I would like to point out how deeply our roots are sunk in that external reality. The very term “private liberal-arts college” marks the fact that this idealistic place was founded––and funded––as an independent fiscal entity. This nonprofit enterprise relies on individual transactions—namely, tuition payments and donor gifts, the latter safeguarded as an endowment that generates a substantial part of the annual revenue stream fueling our work here. Am I describing an intrinsically elitist model for an institution of higher learning? Well, certainly this model deviates quite far from an imaginable one in which all educational spaces would be fully underwritten by the public purse and uniform in their enrollment and academic offerings. Indeed, the current examination of our financial circumstances brings with it a discomfiting reminder that we have always operated as an exemplar of limited access, elite mentoring, and private sponsorship. That said, I think we can justly claim that our private institution generates exemplary global citizens who practice egalitarian principles in every walk of life. Moreover, we can show that that we are always working to mitigate our institution’s inherent exclusiveness by extending its benefits to many who cannot afford to pay for their full cost. To many––or to all? What I’m asking, basically, is how far our mitigation can extend. Is it theoretically limitless? Let’s consider the hypothetical scenario of a year in which everyone admitted to Haverford turned out to need full financial support. This limit-case should hardly sound bizarre, since it’s not preposterous to imagine that there are 350 excellent students around the globe who, on admission, could demonstrate a need for full tuition, room and board. In fact, our approach to need-blind admissions has only relatively recently been based on an equally blind faith––namely, that we will never fall short in our ability to make ends meet (for others and for ourselves, now and into perpetuity). 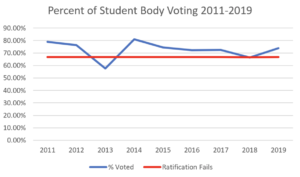 The need-blind policy had previously been perpetually under review by the Board, with caps to the institution’s discount rate (the proportion of tuition given back to matriculants as financial aid) acting as triggers for evaluation of the policy. In 2006, when the Board saw fit to remove the already rising cap on our financial aid budget, it did so buoyed by the pre-Great Recession economy. In addition to lifting the cap, we became more generous with financial aid through the introduction of a “no-loan” program while dramatically changing––for the benefit of our students and families––the way we regard home equity in calculating demonstrated financial need. That increased commitment to financial aid has remained vigorous, even as with each succeeding admitted class of students we’ve seen the percentage of gross tuition expended in financial aid (i.e., “discount rate”) continue to rise sharply. Whereas the discount rate was 32% in 2009, by last year it had moved toward 42%, and it will rise to nearly 43% next year. In this period, the percent of the annual budget given to financial aid has risen by 1/3 (from 15% to 20%) and the number of students receiving financial aid has risen by 25% (from 40% to 50% of the student body). (Despite such challenges, our no-loan program has remained in effect for most aid recipients, as has the more generous consideration of home equity.) Simultaneously, the growth of tuition has slowed, so that net tuition as a share of overall budget revenue has fallen, putting increased strain on an endowment that is still recovering from effects of the harshest Great Recession years. This rapid rise in financial aid as a portion of budgetary expenditure, set against constraints on revenue growth that pervade the higher-education landscape, now constitutes a significant challenge to all of us who feel responsible for safeguarding the College’s financial health and future. What is at stake is nothing less than the excellence of our academic and extra-academic offerings––assets such as the high-caliber faculty and staff, the curricular variety, the equipment and instrumentation necessary to much of that curriculum, co-curricular opportunities, and various forms of support designed to ensure student well-being and success. The “potential cost to the school” of eroding these assets would indeed be significant and fundamental: our quality and the very nature of our mission depend upon their sustenance. The Board, then, is facing a moment in which thoughtful consideration is essential. Like our current students and our thousands of alumni, the Board consists of people with a lifelong commitment to social justice. As stewards of the College’s financial wellbeing, they find themselves obliged to think strategically about how best to sustain the aims of the College, which unequivocally include providing substantial financial aid to secure a richly diverse student body. Model 1: Increase enrollment by 28 students a year for 5 years, with no new expenditures on facilities, faculty, or staff. Model 2: Reduce operating expenditures by holding faculty and staff compensation to zero growth for 5 years (in effect, decreasing compensation when measured against anticipated inflation) and maintaining zero growth in operations (e.g., care of physical plant, instructional support, department budgets, and center budgets). Keep compensation growth modest (as per the 2.2% average over the last six years). Perhaps slowly increase enrollment for five years (up to 7 students per year), monitoring effects on campus life. If there is slow incremental growth in the student size, hire one additional faculty member for every 7 new students, and one staff member for every 10 students. Keep operations growth modest to match inflation. student-faculty ratio, housing flexibility, and quality of community. Model 2: faculty/staff retention, deterioration of physical plant, erosion of services. It is important once more to compare these models to our present one. We could stay the present course, proceed to spend more than we take in, and slowly but steadily erode the endowment. I am persuaded that doing so would run the risk of diluting the value and meaning of a Haverford education. As annual revenue fell, we would need to rein in a program that is in demand by record numbers of applicants, from whose ranks we are enrolling classes second to none in the College’s history. On an overly optimistic note, we might hope to avoid choosing any of the new models if our alumni and friends dig even deeper in their giving than they already do. But how deep do we expect them to dig? This question is not rhetorical; it is both philosophical and pragmatic. We are back to the question of how to live by principles in a material world. While some voices plead with the College not to flinch as its 42%+ discount rate continues to rise, generating accumulating financial challenges, I wonder whether we display such strict idealism in our individual lives. In practical terms, do we let our personal giving––the expression of our principles––drive our own finances progressively toward diminution? Actually, I think we could make something positive out of the need to assess our ‘giving capacity.’ If the Board asks us to manage our financial-aid spending, we might seize the opportunity to ask whether the College can better meet the “full demonstrated need” of admitted students. (Let me emphasize the centrality of our commitment to meeting each admitted student’s demonstrated need: that approach means that the students we admit can afford to come, that economic changes will not prevent them from graduating, and that graduates will not leave with excessive debt.) Further, we might be able to deploy some financial aid resources in ways that give lower-income students who receive significant aid for tuition, room and board a chance to more fully access the opportunities on offer in a Haverford education. Our Task Force on Diversity and Community has noted, for example, that further support would enable low-income students to take better advantage of internship and research opportunities, 4+1 programs, and study abroad options, as well as other aspects of campus experience. In other words, a managed budget might enable the College to forecast and provide the resources needed to pursue a more comprehensively enriched experienced for lower-income students––and thereby to develop at Haverford a more effectively and equitably diverse community. In sum, the need-sensitive aspect of Model 3 is presently under consideration as a means by which the College can continue granting generous financial aid to low- and middle-income students without losing its own fiscal viability. Need-sensitive admissions should not under any circumstances be construed as slashing financial aid. Nor should it be seen as a wily betrayal of the College community. Ms. Krohn signals a careful skepticism in saying that she “would like to believe our financial situation is grave enough that some people believe it warrants this sort of response.” This deftly crafted statement puts us all in the paradoxical position of hoping to find ourselves in grave financial trouble so as not to find ourselves in the hands of some unprincipled people––or perhaps vice versa. Let me say, very clearly, that our financial picture is presently far from “grave.” Haverford is one of the most financially blessed colleges in America, which is precisely why we can contemplate sound budgetary management without sacrificing our staunch commitment to exceptional levels of financial aid that ensure a diverse student body. However, it does not follow that the College leadership is raising trivial concerns, let alone seeking to undermine the principles of this community. Haverford’s academic excellence is at the heart of its mission and its economic model. Sustaining that excellence is the Board’s highest priority. It is the Board’s responsibility to manage Haverford as a perpetual institution that will offer academic excellence to future generations commensurate with the education it offers today. Haverford’s diverse community is a critical ingredient of its academic excellence, and the College and Board are deeply committed to diversity in the broadest sense. Robust financial aid will remain one important tool to build that diverse community. Haverford must balance the competing priorities that drive academic excellence, including a talented and diverse faculty, staff, and student body, as well as excellent facilities and instructional resources. Investment priorities among these will evolve over time, but each requires active stewardship. The external environment is likely to remain challenging for higher education; Haverford should not expect to be relieved of the burden of difficult choices by external changes. Haverford is competing for exceptional students, faculty, and staff who have many fine choices in the educational marketplace. Haverford must offer a compelling and competitive educational experience in order to remain relevant and viable. In order to maintain the assets that support the College’s excellence, the Board will seek to achieve within about five years full financial equilibrium that can be sustained into perpetuity, using a budgetary approach that will take into consideration non-cash factors including depreciation and debt in addition to operating performance. 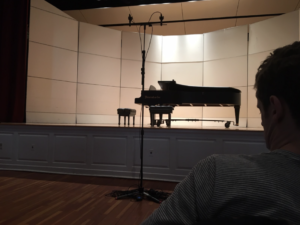 What is Haverford College, in a temporal sense? Is it merely the vestige of an elitist system that should consume itself in a last flash of doing good? Or is it a place valuable to the future global community, a place where people of social conscience––from a wide variety of backgrounds––should continue to prepare, broadly and deeply, for lives of service to the world? In a utilitarian calculus, Which approach to Haverford’s future will bring forth the greatest number of prepared and principled graduates from across the socioeconomic and cultural spectrum? Again, I’m merely trying to sketch considerations that implicitly precede the Board’s set of statements. None of these questions can be put to rest by a simple reiteration of a one-dimensional phrase such as “need blind,” which does not acknowledge any possible gradations of practice. The Board, which shares the values of the larger Haverford community, is taxed with navigating a multi-variable ethical challenge. I have put every single Haverford alum that I know on BCC. By considering any form of need aware, Haverford is showing that it does not, in fact, care. I do not know every line item in your budget, but I am certain that not every penny of it is needed to educate bright young minds. I plead with you to give up on every single unnecessary expense, every renovation, every redundant staff member, every penny, so that any student who wants to attend Haverford can do so without crippling debt. If you do not, the institution will write itself into the wrong chapter of the history book, and I am certain the world will pass it by. I include this letter here for several reasons. First, I would like the invisible recipients of this alum’s email to hear my response to him rather than imagine that I have sought refuge in discourteous silence. Finally, I want to point out how easy it is to miss the ethical pitfalls of ‘quick fixes’ that may spring to our minds. In his haste, my correspondent construes “caring” so narrowly as to leave all those allegedly “redundant staff members” far outside the sphere of his consideration. From the perspective of many of us at the College, these staff members are the exceedingly busy people who keep departments running, who nourish the students, clear the snow, keep the buildings clean and functional and the campus beautiful, who guide students into the worlds of digital research and laboratory science, who rescue them from computer crises, who counsel them, tutor them, coach them, and protect their health and safety. These are people often living on far more limited means than will many of the alumni/ae whom they are helping to produce; they are people who see great value in the student community and also in Haverford’s tuition benefits that will help their own children go to college. These are the people whom this year’s seniors chose to honor by asking one of them to give the opening reading at Commencement. In our desire to think that surplus money must be somewhere within reach, we can slip into imagining that Haverford must be spending multi-millions of dollars frivolously every year on the human and environmental supports of the College. I would like to assure you otherwise. Yes, we could certainly squirrel away some immediate funds by letting the buildings and grounds deteriorate. We could reduce the budget spent on staff, leaving the students to jostle for attention in such venues of support and opportunity as the Dining Center, the Office of Academic Resources, the Writing Center, Magill library, Instructional and Information Technology Services, the Multicultural Center, the Women’s Center, the Center for Peace and Global Citizenship, the Center for Arts and Humanities, the Koshland Integrated Natural Science Center, Counseling and Psychological Services, and the Center for Career and Professional Advising. We could even shrink the ranks of those who keep the buildings clean, the heat on, the pipes clear, the roofs fixed, the fields mowed, the Security cars arriving within minutes. But what we’d be doing, in effect, is counterbalancing our current ballooning, unbudgeted spending on financial aid by diminishing the experience, well-being, and safety of all who attend the College, including everyone whose enrollment is made possible by financial aid. In all fairness, the wider Haverford community has every right to ask whether we’re being attentive and careful in our spending. Let me take a further moment to assure you that the College has long been stewarding its resources scrupulously. Every tray of cookies served at a tea for students is tightly accounted for in a department’s budget; when the budget runs thin, faculty and staff make potluck contributions to shore up the offerings. Every photocopied page; every hour of audiovisual support services; every night of a guest lecturer’s stay in the Campus Center––even every fruit bowl for the guest’s room––is carefully justified. We have introduced significant optimizations and efficiencies in our benefits program, our purchasing practices, our use of energy, our insurance policies, our dining services, and our auxiliary revenue generation. And in doing so, we have maintained and even improved standards and quality of student experience. In short, we’re working very hard to maximize resources while ensuring that the Haverford student of today is not experiencing a diminished version of yesteryear. But while we might wish for ways to trim the College’s budget further, any scenario that begins to destabilize our physical environment, or deplete our essential staff, or erode the already tenuous level of compensation for staff and faculty will have consequences both pragmatic and ethical. In pragmatic terms, such a scenario might run the risk of making the College less attractive to students and less competitive in attracting the talent that fuels excellence in the curricular and co-curricular student experience. In ethical terms, the College would be testing the limits of its commitment to provide students a rich educational and social experience––and to provide reasonable compensation for those who teach, feed, house, advise, and otherwise tend to students on their journey through this educational experience. All that said, this email correspondent and I appear to agree on one point: Give up on every single unnecessary expense… so that any student who is admitted to Haverford can do so without crippling debt. Indeed: meeting all demonstrated need such that students can graduate with minimal debt is, in my view, a core principle and one that the proposed changes are designed to uphold. I greatly value the concern about financial aid and its impact on diversity at the College, as shared in public discussion and in communications to the Board and to me. I hope that this over-lengthy response has managed to allay some of that concern by demonstrating that the College remains deeply committed to continuing to provide students from across the income spectrum an intellectually rigorous and ethically meaningful education. I do not in any way solicit your blind trust; rather, I ask for your openness to the complexities of ethical reasoning––because I think that to approach the current discussion with a two-word litmus test of ethics is to confuse means with ends, words with facts, and mere fervor with true care. Haverford no longer being called “need blind” will damage its reputation and ability to attract paying and non-paying students. Prospective students will find Haverford’s “need sensitive” policy combined with its verbal commitment to social justice incredibly distasteful. We should explore as many options as possible to avoid going down a route that will make Haverford unattractive compared to its need blind peers. Alternative Option 1) Haverford can budget $X each year for financial aid without threatening the endowment. Divide up the available funds amongst admitted students with demonstrated need. Students who do not have their full demonstrated needs met have the option to apply for student loans. By deciding not to admit students you don’t think can afford Haverford, you take away their choice and opportunity to look for other sources of financial support. Option 3) To put the needs of the staff and faculty before the needs of the students is perverse. Is Haverford’s mission to educate students or to keep eight Deans on payroll? If letting go of a small number of staff members would balance the budget, I find it difficult to justify their salaries. This is how the real world works; when companies lose money they sometimes need to let people go. I applied to and chose to attend Haverford, instead of any of the multitude of other small liberal arts colleges around the country, in large part because of its Honor Code, its no-loan policy of that time, and its need-blind admission. I didn’t imagine that the college was perfect, but its admission policies seemed to signal that it was honestly trying to give all potential students a fair chance of attending without severe financial consequences. I appreciated that attitude, and it set Haverford enough apart from some of its peer institutions to make it attractive. Now the no-loan policy is gone – I have no solid idea of what “minimal debt” means, in dollars – and if need-blind admission disappears as well, Haverford will have abandoned one of its most obvious and concrete commitments to social justice. This is, as President Benston phrased it, a “pragmatic and ethical” problem. I’m sure I’m not the only potential student who selected Haverford because of its efforts at economic inclusivity, and future students will judge it by its financial aid policies as well. If Haverford wants to compete against its fellow liberal arts colleges, backtracking on its own social-justice efforts will only hurt its ability to win students and, for that matter, donations. As an alumna and potential donor, I’d like to contribute to an organization that considers all of its applicants without any form of economic discrimination, not just ninety-five or ninety-six percent of its applicants. I do not endorse exploiting, underpaying or laying off Haverford’s many wonderful faculty and staff members, allowing the buildings to collapse, or otherwise neglecting the college’s basic needs, but I have not seen enough evidence yet to show that any of that is necessary to keep truly need-blind admissions. As much as I appreciate small class sizes, Model 1 seems like the least terrible of the three options that President Benston presented. 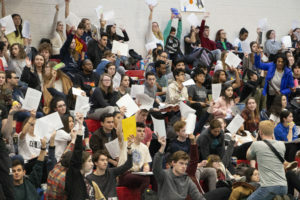 Haverford would do much more damage to its “quality of community” and its reputation by undermining its commitment to economic nondiscrimination than by slightly increasing its class sizes. I appreciate the extensive qualitative description of the alternatives, and I encourage the college to openly share the numbers associated with each of these models. That is to say, show me the numbers!!! It will be much clearer what the financial impacts are of each model over a 5-10-15 year horizon when each plan is outlined in detail and compared side by side by side. Even better if the sharing enables interaction over the web. Tableau anyone? This is very possible today. Why not let students, faculty, and alumni create prospective models, and leverage the knowledge and skill of the greater community. There are many expert money managers in the Haverford community, Take advantage of these resources!